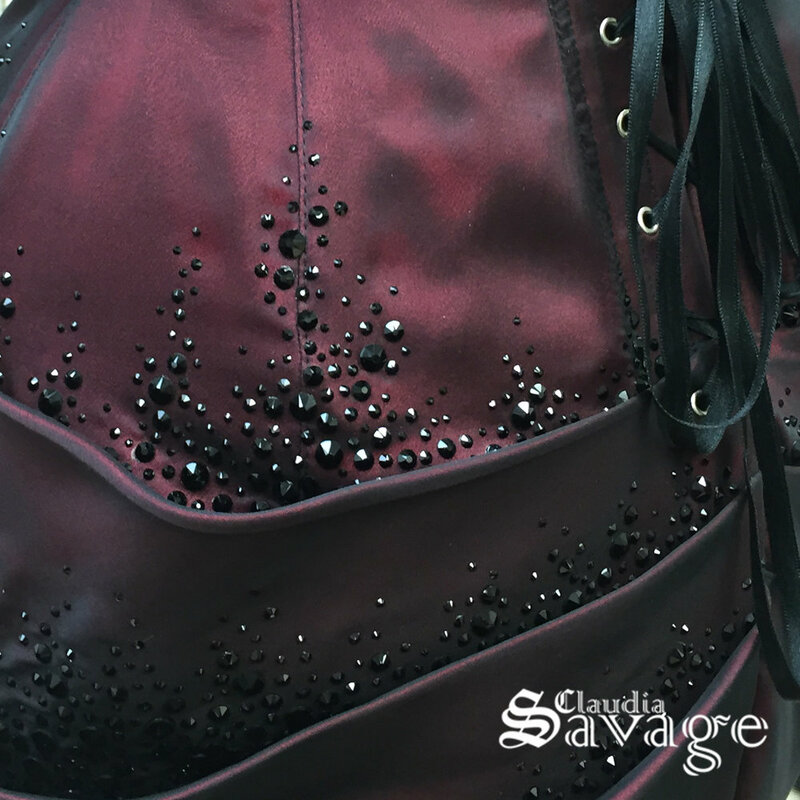 At Claudia Savage, we recognise that the creation of a custom garment is not an every day event, in fact it may be a onetime event in your life and as such, the prospect may be quite daunting. So what should you expect? And how should you prepare? Here we have broken down the typical process that may apply to any garment created within our studio. If you have any further question please feel free to contact us – no question is too trivial. The most important consideration before entering into any contract with a designer: Make sure you gel. This will potentially be a long term creative relationship. If you don’t feel that you’re ideas and needs are being understood or catered to, then it’s best that you seek another designer to create your garments. Any bespoke garment will require an extensive amount of time and financial commitment by both parties, the ability for comfortable communication is of key importance. You should feel that you can ask questions and trust that your designer is making decisions in your best interest and not their own and that you are provided with a detailed contract outlining what is to be expected by both parties throughout the process. If you feel you've found your creative match, you can confidently move on to the creation process. In this first meeting we will discuss your garment requirements, deadlines, likes and dislikes. From this we can better discuss design ideas and possibilities. We will take your measurements, look at basic colour pallets so that more in-depth research and design work can be done in the weeks following the consultation. If you are comfortable with the process thus far, and feel you can work with us, we take all the information provided and discussed and create a range of designs, research fabrics, techniques and begin to outline potential costs involved. This process typically take between 2-4 weeks. If you are interstate of international, much of this can be done via email/Skype though we do strongly suggest a face to face meeting following this consultation if conducted online or via email. 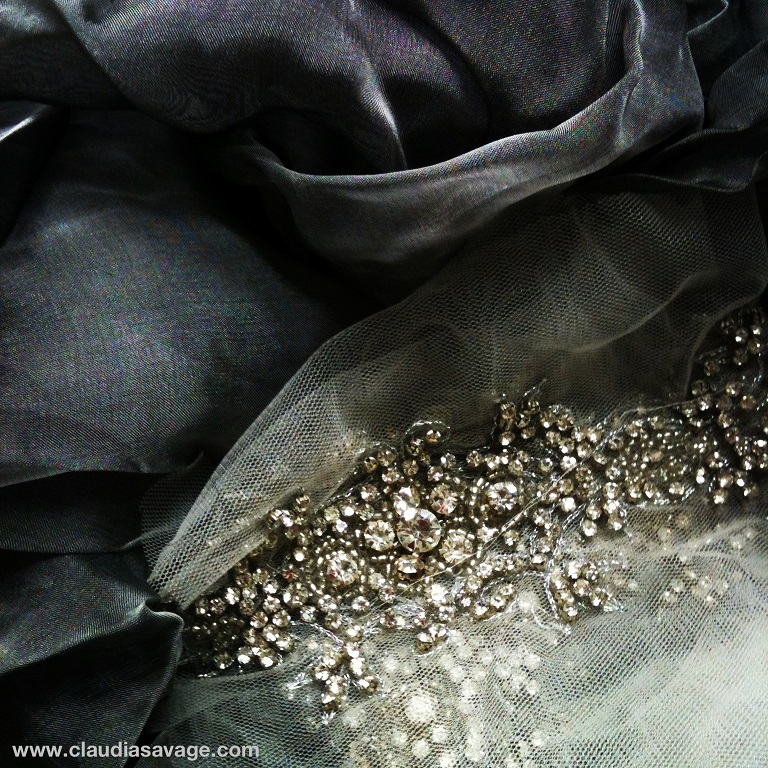 At this stage, our designer will present to you with a number of designs based on all the information of the first consult and in keeping with the ethos of Claudia Savage. We can then discuss the intended fabrications and details of each garment in greater detail, alter or blend some of the design elements from one design into another until the perfect “final” design is achieved. From this, a final costing and contract will be created. This process typically takes between 1-2 weeks. Worth noting, we say “final” as it’s often the case within bespoke creations that an idea on paper may evolve differently on the figure so it’s not unforeseeable that slight changes to the garment will occur during the construction phases. All of which will be done in consultation with you, the client. By this stage, a design has been agreed upon, a contact signed and a 50% deposit placed to secure your garment creation time. The pattern drafting and fabric ordering processes will be well underway and we will require you for your first fitting or “toile” stage. Your silhouette will be fitted and any alterations and further measurement shall be taken to prepare for the next consultation which will be you first fabric fitting. At this point you will be able to make minor changes to design lines and begin to see your garment coming to life. For or international and interstate customers we strongly encourage that if you see us at no other time, that this be the time to visit us in person. Depending on the intricacy of your garment design, it may be close to completion at this time and this next fitting may be the final fit. However, it could also be only at the half way stage and require anywhere from 2-4 more fittings. All of this will be discussed and planned out according to the garments needs and your availability. When working with interstate and international clients we can cater the fitting experience to suit your situation though we do stress the need for at least 2-3 face to face fittings. Two of these may take place over one extended weekend to minimise the number of trips required. Please contact us to discuss any fitting needs you may require.